I created a few of these little gems. I call them 'card gift combo boxes'. Here is why: You open them like a book, but there is a box inside to hold a gift (3" x 5 1/4" x 3/4"). Super sweet, right! So the inside flap of the 'book' holds your hand-written message, just like a card. The ribbon holds the 'book' closed. Pretty sweet. I needed some direction for the cover, so I stopped by a favorite sketch challenge site: Mojo Monday. For 2 reasons; 1) there sketches are easy to work with, 2) the design team is very inspirational! These ladies are very talented, so if you need to get those creative juices flowing, just take a sneak peak at their work. Now, before you say a word, I know that this is not my typical vintage country chic style, per say. Sometimes its good to change things up. And, I have the whole collection of this pattern paper and embellishments. And I need to start using what I have. But, lets take a closer look! Recipe: I used Real Red card stock by Stampin' Up! for the base. LOVE their card stock. The blue solid card stock is Taken with Teal (retired) by Stampin' Up!, too. 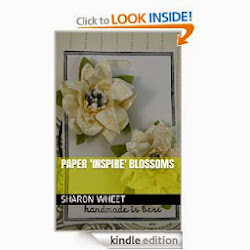 The pattern papers are from the Heart Strings collection by CTMH. The embellishments, oh my there are lots, and from everyone. The teal blue brad at the spine is from MME, the Nostalgia collection. The white doily is from Martha Stewart. The red fabric blossom is from a big box craft store (J). The teal blue heart stick pin is from a big box store (J). 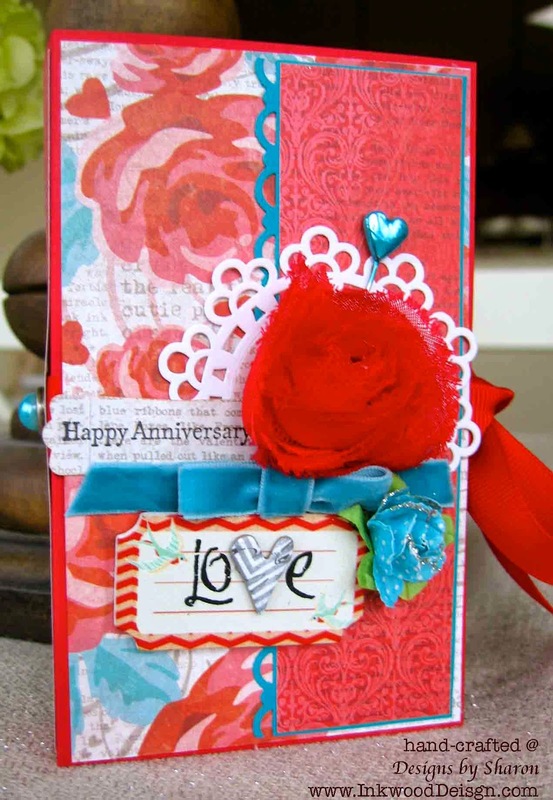 The teal blue velvet ribbon is from Stampin' Up! (retired, probably 10yrs). The blue polka dot paper blossom is from a big box store, dollar bin (M), I also added silver super fine glitter on the petals. The super fine glitter is from Martha Stewart. The ticket is actually a painted wood ticket, from the dollar bin, at a big box store (M). I added the letters, they are rub-ons from a different big box store (HL). I painted some mod podge over the rub-ons to help seal them to the wooden ticket. The heart is Heidi Swap, I used silver metallic ink on this resist chipboard piece. The sentiment is stamped in basic black classic ink right onto the text pattern paper, using the Teeny Tiny Wishes stamp set by Stampin' Up!. I also used the fancy label punch to create the decorative piece. 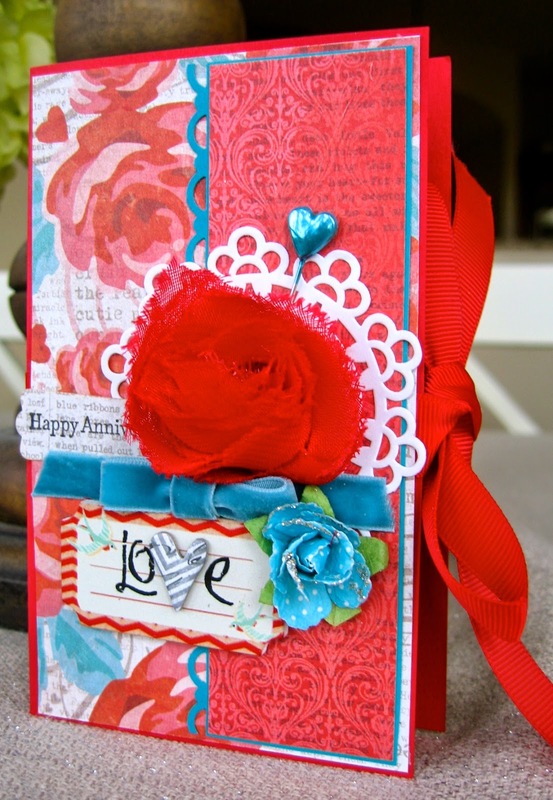 The grosgrain ribbon to hold this little gem closed is Real Red ribbon (retired), by Stampin' Up!. My little card-box combo was selected as a 'winner' @ Mojo Monday sketch challenge. This will be for sale at the Spring Craft Fair @ La Cueva High School, in Albuquerque, NM, on Saturday May 2, 2015. If you are in the area, please stop by my booth. 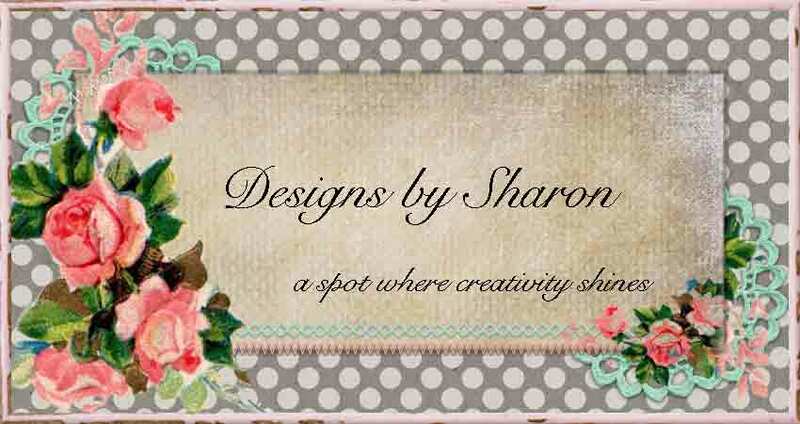 I'd love to meet you, and show you what I have crafted! This is adorable! Love the fun colors and embellishments. Thanks for playing along with Mojo Monday!